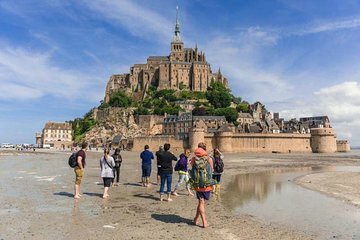 Deze Mont Saint-Michel & Bay Tour helpt u tijd te sparen en meer uit uw dag te halen door een sneltreinkaartje uit Parijs mee te nemen. 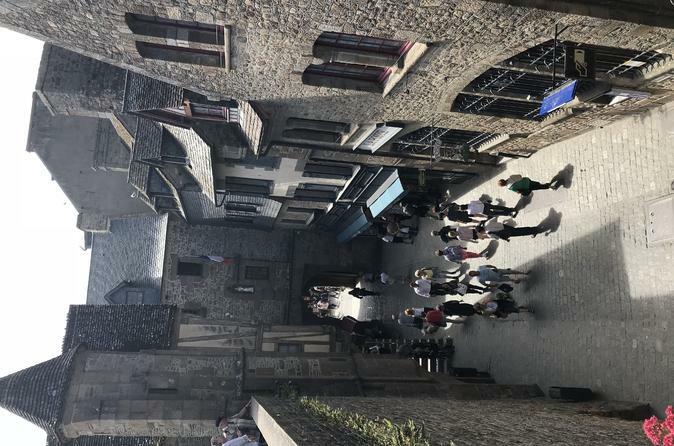 Als u eenmaal in Mont Saint-Michel aankomt, hoeft u zich geen zorgen meer te maken over het organiseren van vervoer, want een privéminibus haalt u op. Afhankelijk van het getij zul je de baai bezoeken en daarna het dorp verkennen. Bespaar tijd die wacht in overeenstemming met een skip-the-line ticket naar de abdij ook inbegrepen. Loved both guides walking in the sand made me feel like a 10 year old amazing. Our guide stayed with us and explained in detail just loved her. This trip was our high light of Europe. I went with my sisters and had a blast.It was a 6:30am-9pm kind of day. Definitely not for the “lazy travelers”. The day started with a meetup at 6:15am at a cafe very close to the train station where the high speed train on which we boarded took us on a 1.5 hours ride to Renne to connect to a 20-seater minivan, which lasted for another hour from train station to the Mont St Michel shuttle bus, before we could board the shuttle to head to the compound of the abbey.We were walking on clay sand before 10am. The day began with low tide from very early on which enabled such opportunity. Our guide was Ferris. He timed all things - walking to train, boarding train compartments, connecting to minivan, getting on shuttle bus etc. to perfection.A different tour guide took us on sand and water and walked us through the geographical nature of the water surrounding the abbey. This tour guide actually found us quick sand. I experienced for the 1st time what happened when I stepped into it, how to get out of it when my feet were very gently swallowed up and still had fun! Imagine having two tour guides with you on a tour and the attention you could receive?My preparation to dress in layers against wind and cool air from the water paid off handsomely. My wool hat, scarf, windbreaker, warm layering afforded me a great time walking on clay sand, threading water and throlling on wet sand against strong gustily wind.After rinsing off clay sand from our feet at the bottom of the hill, our tour guide Ferris, who brought dry towel!, took us up the abbey. We had lunch and tried the famous omelette and lamb chop. I liked the lamb chop very much. We were each given admission ticket with audio guide to walk through the abbey to learn about its history as to how an abbey was built on a rock surrounded by water, or not, due to high or low tides and saw from a high point on top of the abbey the beautiful surrounding scenery. One lady in our group did not dress warm enough for the wind as advised per tour guidelines and was cold the entire time walking out in the water and clay sand but she stayed with the tour group all the way.I never expected such professionalism anywhere from a tour guide and was mighty impressed.I highly recommend this if you are ready for an adventure. Two thumbs up! I have been wanting to visit Mont Saint-Michel aka MSM for 27 years and I finally made it! The details: Depart Paris @ 6:30am ouch for a 1h 45m TGV ride to Rennes, transfer to a mini-bus ride to MSM, take a short shuttle to the island. 2 hour walk around MSM in the sand/mud, lunch in the village and time to shop, 1-2 hours in the Abbey church, castle, cider tasting, minibus to the train station, TGV back to Paris by 9pm. Now, for he details. Our guide was Ferrett, and he took EXCELLENT care of us. He was well organized, calm, spoke perfect English and was loud and clear, always warned us if we should use the toilettes before a long bathroom-less stretch, made sure we had everything we needed, and this guy literally knows everything about everything arts, culture, history, science... his knowledge is limitless. The whole tidal basin around MSM is filled with a clay-like sand. Its hard when its dry, and turns to quicksand when wet.  In betweeen, it feels like wet play dough that oozes between your toes hey, free spa day!. We had a local guide to take us out into this area to be sure we were safe and knew exactly where to go, and when. We had the luxury of watching the tide come in while we were out on our walk. Its not a slow tide like we are used to. Its like someone opened the dam and the whole tidal basin flooded within minutes. A mini tsunami. I have never seen anything like it! Good thing our guide had us on high-land when it happened, as we saw another group running away from the quickly approaching water. Ha! With the tide came seals and birds in search of their fish lunch. We walked in the quick-sand not as quick as you would think, not scary at all once you understand it, and actually quite fun!. Even my super-timid 8-year-old liked the quicksand! Note, you will carry your shoes and socks with you during the walk on the sand, so bring a backpack or something to carry them in. Maybe even a plastic bag and a hand towel. There is a spot at the end where you can rinse your feet off. We had time for lunch and souvenir shopping. The shops here are REALLY nice and have a wider variety of things than anything I saw in Paris. Our guide recommended a delicious and inexpensive rare! crepe restaurant. Then we headed up to the Abbey for our tour. With the tide came the crazy-dramatic fog we felt right at home, we are from San Francisco. You get a hand-held device with an audio tour on it so that you can walk through and listen at your leisure. I recommend bringing headphones so you dont have to walk around holding the device to your ear. The tour is nice, with great views, enormous rooms, and gardens. Please note that there are a LOT of steps, so wear comfortable shoes. Im pretty darn out of shape, but I managed to handle the stairs with some pauses along the way. Just as quickly as the fog rolled in, it rolled back out again to show us a beautiful blue sky. After the tour of MSM, we walked back to the shuttle, then took the mini-bus to a little store to stock up on beverages and snacks, and to do a cider tasting. Then we bussed back to the Rennes train station, and took the TGV back to paris arriving by 9pm. As an aside, the TGV trains that we rode had free WiFi yay!, electrical outlets the French kind, of course, so bring an adapter if you need it, and decent bathrooms. Also note that you get back to Paris late. Some people can make it until 9pm before they have dinner, but we werent those people. You can grab some prepared sandwiches at the train station, but they arent fabulous, so if you have a picky eater, make sure that you bring dinner food with you for the return ride. The train station was under construction in June 2018, but the food options should be better once they are finished with that construction. Overall, an EPIC day said my 8 year old son. I agree. I would HIGHLY recommend this tour. Visiting Mont Saint Michele was a lifelong dream of mine and going with Walks made it everything I hoped it would be. Transport was a breeze, the guides were complete experts on everything from ancient historical points to where to get lunch, and of course, the town itself was spectacular. Thanks Walks, for making my dream come true.